The ring-tailed lemur’s most distinctive feature is its long and bushy tail, which usually has 13 rings. They have small but long hind limbs and grasping hands and feet. 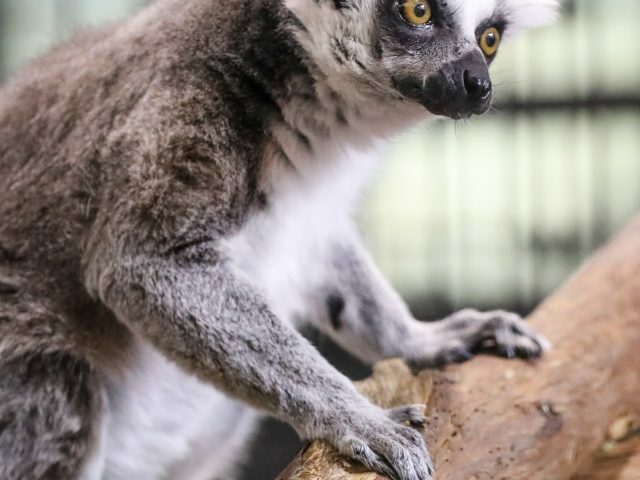 Ring-tailed lemurs have brownish-gray fur on most of the body, with white fur on the belly, face and ears, and black patches around their brown eyes. 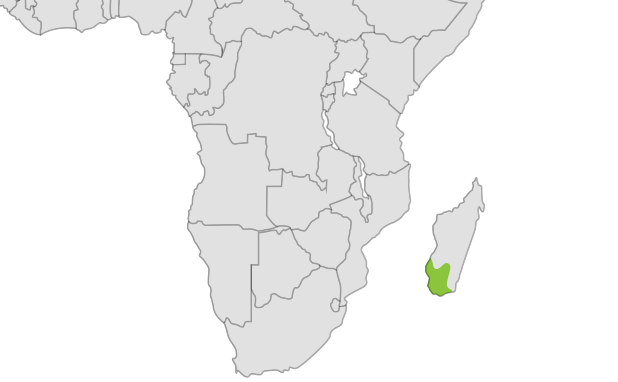 Ring-tailed lemurs live in troops of about 5-20 individuals. Females are extremely dominant and one female usually dominates the entire troop! Territorial disputes are typically settled by yelling, screaming, and face making, rarely involving physical fights. 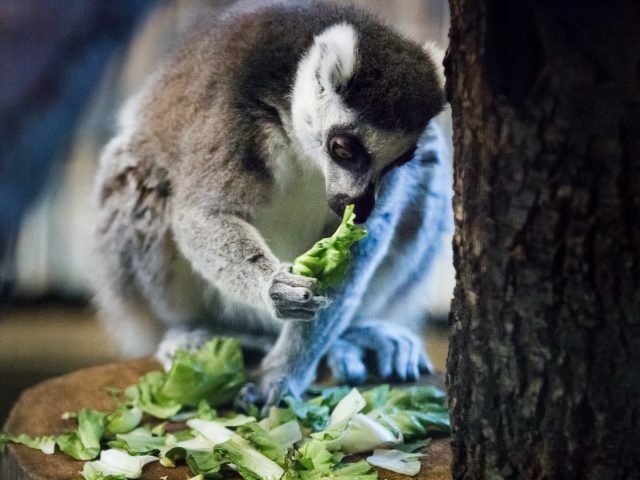 These diurnal animals spend much of their time foraging for food and, although they sleep in the trees at night, spend more time on the ground than other lemurs. Newborn ring-tailed lemurs have blue eyes that turn golden brown as they grow up. During breeding season, males have “stink fights”, using additional scent glands on their wrists and chests that other lemurs do not have. As they move around eating fruits and leaves, they play an important role in seed dispersal, helping rejuvenate the forest. 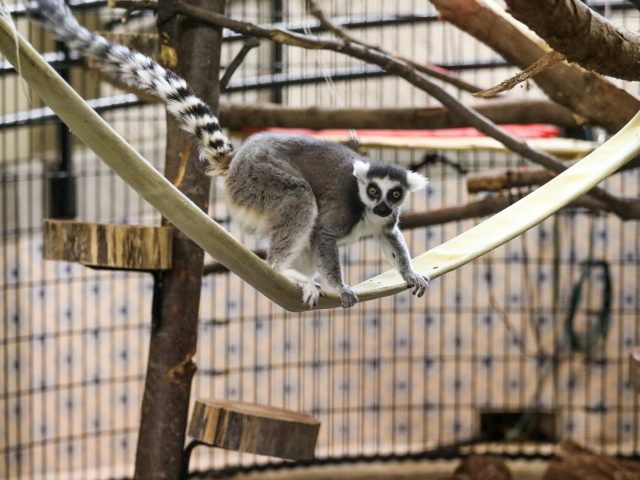 6 ring-tailed lemurs call PPZ home, and only one of them is a male! 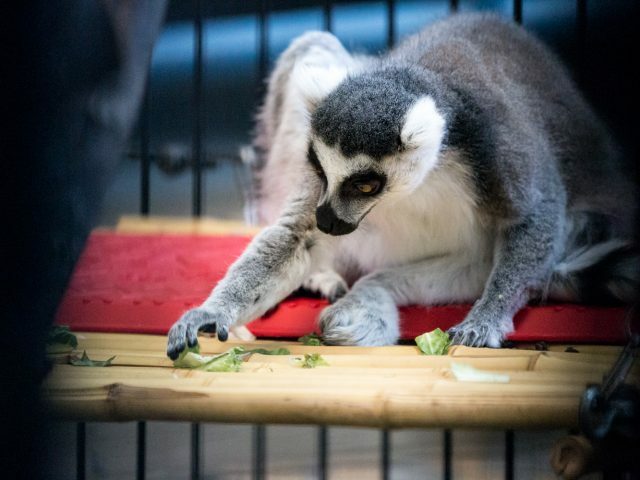 All 6 lemurs were captivity born right here at the zoo. Their holding is usually full of toys they enjoy playing with as part of their daily enrichment. 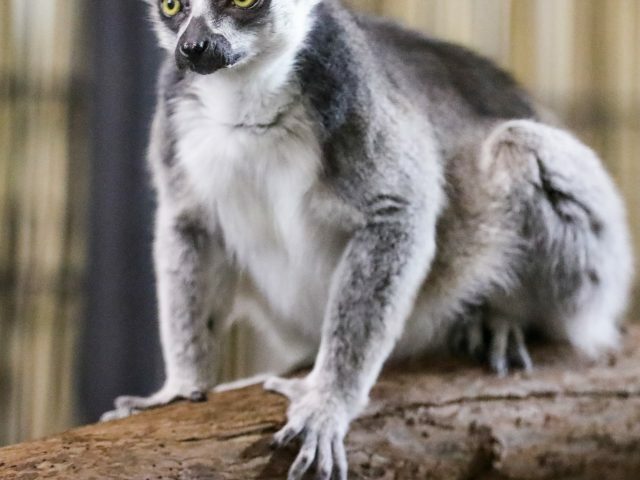 The body of a ring-tailed lemur is only about 17 inches long, but their tails reach 2 feet! Females weigh in at 4 pounds, with males being closer to 6 pounds.